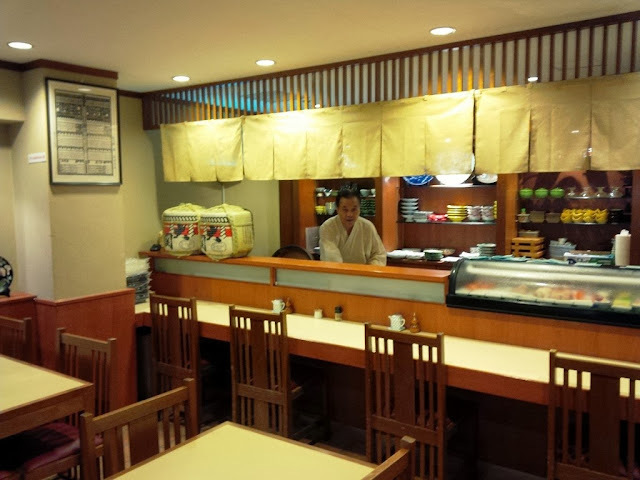 For those who work around the vicinity of Raffles Place would be familiar with Botan Japanese. 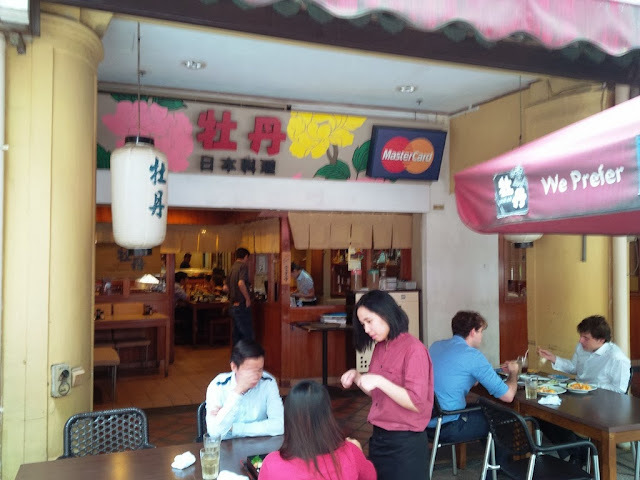 Conveniently located at Peking Street or Far East Square, it was with some asking around that we eventually found the place, discreetly tucked away while being surrounded by the buzz during lunch time. Upon reading some good reviews about the place, I decided to make an advance booking the evening before. When we arrived at the restaurant, we were warmly greeted by the servers who promptly showed us to our table which was neatly prepared with the menu laid before us. We had barely five minutes to go through the menu before the enthusiastic waitress came over to take our orders and we had to send her away. While I understand that high turnaround of tables is desired especially during peak lunch time, it would actually be ideal if diners have the luxury of enjoying a slightly relaxed meal without being pressured to place their orders. 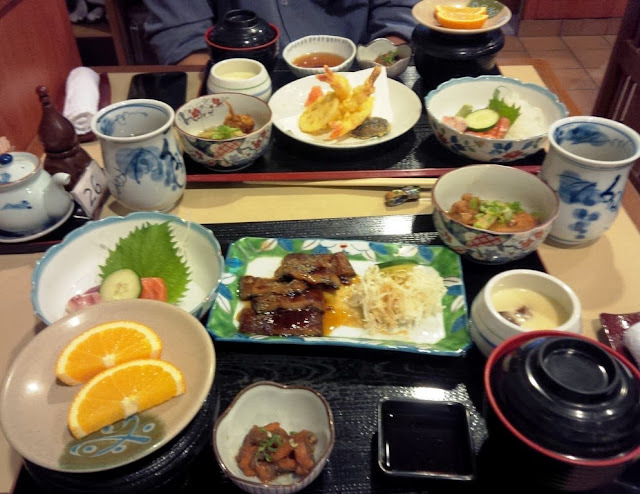 The menu consists of the usual lunch sets, sashimi platter, ala carte dishes such as karage and maki rolls. Spoilt for choice and not the best performer when it comes to making food decisions, we both decided to take the easy option of lunch sets. Each of the lunch sets comes complete with an appetiser of marinated fish niblets, serving of sashimi, chawanmushi (steamed egg custard), bowl of rice, miso soup, potato and chicken cutlet. Not forgetting two slices of orange, of course. 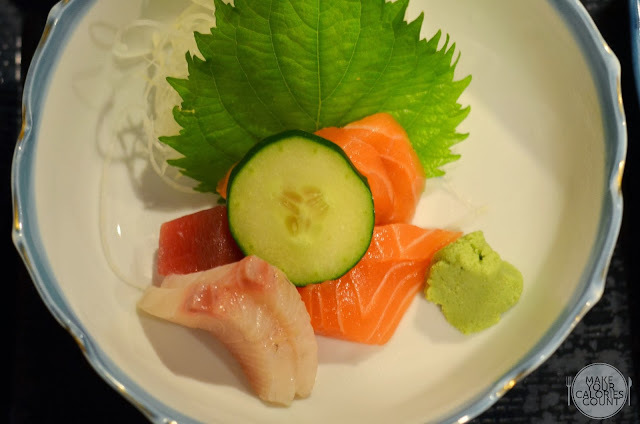 The sashimi was almost melt-in-your-mouth quality with the tuna and salmon being the more impressive protein. We would have preferred it better if the serving portion for the sashimi was slightly more generous but the plus of having the lunch set was that you could have a taste of all the various types of culinary techniques that the chef has to offer. The cutlet dishes were also above average in standard and the marinade had a good touch of salinity. Chawanmushi was also silky smooth and you could taste the shiitake mushroom in whole which was firm and complemented the texture well. 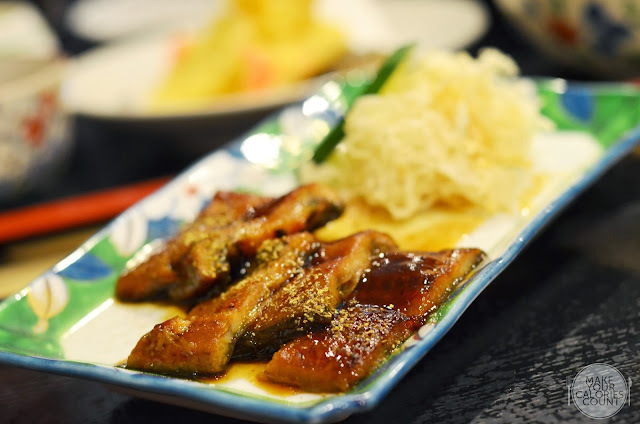 Moving on to my selected main of unagi (grilled eel), it was smooth, soft and had a beautiful coating of that unami sauce that would make you go oomph. Overall, the dishes suited my palate and the hot tea surely complemented my lunch. My only complaint was I felt excessively thirsty after the meal when I returned to office. Not sure if it was the unagi or the miso soup but that certainly made me revise my verdict and it suffered some penalty points. The only distinct difference with my dining companion's lunch set was his tempura in place of my unagi. 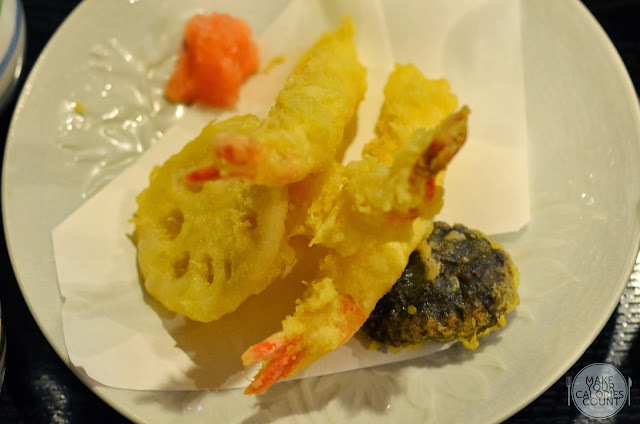 It was crispy and the batter coating the prawns and vegetables was light, without giving an overly greasy touch. I would recommend making reservations in advance, especially if you are dining in group of four and above. Tables are rather limited and the restaurant seems to be popular with Japanese clientele. For the prices paid and the quality of food served, I would certainly consider it to be fair and reasonable. Despite the queue for tables which extended to the outside of the restaurant, the servers did not pressure us to leave and we were left to dine in comfort. It is also a decent place to meet up with business associates over lunch as one can expect to converse at ease with dining companions without having to shout across table. P.S: It would probably be easier to spot Shin Kushiya, another Japanese restaurant that is located right beside Botan since the former has a large signboard on the outside of the restaurant. [SG] Benjamin Browns - hidden gem in town!